The rise of apartment living is unusual for investors. On the one hand, there is a demand for a minimalist lifestyle that offers convenience and accessibility over space, on the other, there is saturation. There are plenty of horror stories about failed investments in developments that have been hell for investors. So what do you do if you are an investor considering getting into the apartment market? How do you ensure capital growth from your investment? We've put together some points to consider to help you avoid being another of the stories that scare away investors. If you are in the market for an apartment, these tips will help you make the right choice. As you have likely chosen an apartment as the property type if you are reading this, the other two categories are all you need to worry about and do your research on. As for choosing the apartment, we understand why (especially if you are a first-time investor). The past few years have seen apartment values rise in most capital cities. Property prices will remain somewhat secure thanks to population growth, especially from overseas. Melbourne, for example, is one of the fastest growing cities in the developed world. The population expected to increase by roughly 10 percent in the next few years. It would appear that continually being named the greatest place to live in the world draws in the crowds! Recently we've seen a bit of a shift. In an area like Melbourne, dwelling values, while still increasing, are moving at the slowest annual rate since the beginning of 2013. Regional areas, however, are seeing much more significant growth. Slightly bad news for apartment investors as the market is much softer the further you move away from the big smoke. Apartments are the favored style of living for young people. They are usually in popular areas, require low maintenance and cost less to furnish. This means they are generally easy to find tenants for and make for great investments. The bonus for you an investor is that entry costs are cheaper, so if you are new to the investment market, this is generally where you will start. Seems like a bit of a no-brainer but you will be shocked by how many new apartments look nice but are terrible quality. The goal is an investment that grows, not a money pit that breaks your bank whittling away the equity with unnecessary costs. It is often estimated that around half of any major city's apartment buildings have many common design flaws. This is why independent inspections are crucial before purchasing any property, but especially an apartment. Make sure that you research both the developer and the builder that they will be using for development, not all developers have the customer in the forefront of their mind. While the minimalist trend is growing and downsizing is an option people are opting for; a hotel-sized apartment isn't an attractive option to live in. Around 40 percent of Melbourne apartments are less than 50 square metres. The small size of these apartments simply kills the design possibilities. Kitchens become smaller, hallways have other areas built into them, and there is little to no storage or natural light. As an investor, you will want to avoid apartments like this as they are not attractive prospects for potential tenants, which severely affects the value growth of your investment. It will come as no surprise that apartments close to CBD areas that aren't directly in them will rise in value faster than the suburbs. The demand is higher in these areas that are close to employment or popular spots as there is no land left for release. Transport costs are also lower from inner and middle ring suburbs meaning investments in these locations will out-perform other, further out opportunities. There is also the location of the apartment in the building to consider. Does it have a view or are you looking into an alley? High-rise and vertical living arrangements regard view as one of the main benefits, so if you don't have one, you lose a massive bonus from the list of attractive features. 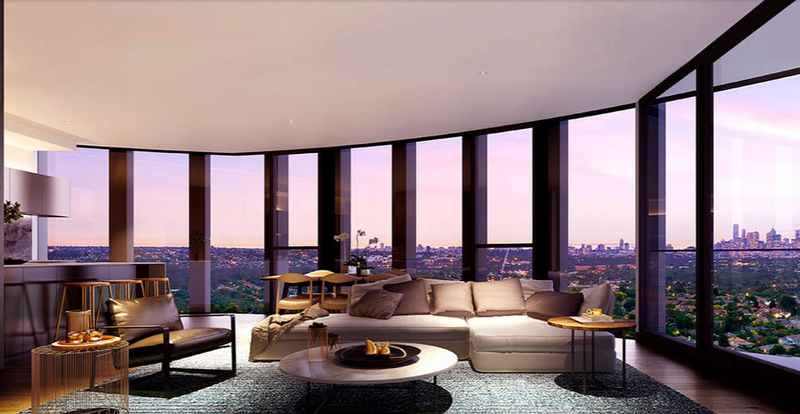 The Australian apartment market, which has seen a large number of new developments and high-rise apartment buildings, has worked to offset population growth. Cities are still finding themselves over-supplied with apartments, however. There are many development projects recently completed, or close to completion which you will want to keep an eye on. If there is an oversupply, it will affect rental and capital growth on your investment. You no doubt understand negative gearing, if you need a refresh, however, it's when a property's costs exceed the income it generates. Property investors are usually hoping that their income loss will be offset by capital gains when the asset is sold. It is important to remember that in Australia, capital gain is not taxed unless the property has been sold after which it receives concessions. If you do your research, you should be able to identify an apartment in a location that outperforms the averages of the region. If you can, that is where you should be looking. Keep an eye out for locations where wages are increasing as people are likely willing to pay a premium price to call that area home. After a while, all apartments can start to look the same. If you find one with something a little unique that makes it stand out from the crowd, it will likely stand out to potential renters as well. It's important to note here that quality is still paramount, so if an apartment has been modified in some way from the rest in its group, we want professional mods, not DIY style. Following on from the last point, if there are opportunities for renovations or redevelopment, this is another tick to add to your list. If your capital growth can be helped along a little by value-adding modifications, then go for it! Just remember - quality. There are plenty of sources for analysis, related articles, expert commentary and off the plan developments and this information is crucial if you plan on being a successful property investor. Especially relevant if you are new to property investing, but also a good idea if you are a seasoned investor and property owner, it doesn't hurt to seek advice from experts in the industry. Always formulate a strong investment strategy and then continually review your portfolio. This will ensure that you are well placed to take advantage of any opportunities that may arise in the property market. And always if possible, seek independent, unbiased advice.